The finance provider below can assist you with your financial needs. Click the links for more information. Alliance Real Estate recommend clients to seek individual financial advice to make sure it is suitable for your situation. 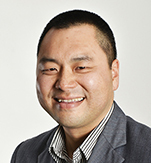 Phil Lau, Partner at Mortgage IQ, is a proven financial service professional with a passion for helping his clients achieve their financial goals. Phil began his career as a Chartered Accountant and has over 20 years of experience in accounting and finance for major international and national professional advisory firms. Our approach is a value-added holistic model where we value and promote the experience and capability of the individuals seeking finance. We create a business case and provide a structured approach to the funding opportunity. Our team comprised of more than two decades of experience in professional financial services for both local and international clients. This gives us the ability to be flexible and innovative in our approach. With more than two decades experience helping corporate clients achieving commercial financial goals, Phil decided to start his own business in finance because he believes that his experience and skill can help average Australians become financially smart. Phil is a Credit Representative of Mortgage IQ (ACL 384704) authorised to deal in and provide advice on home loans and commercial financing.